I was able to drive up to Winston-Salem, NC today to stop by the Woodworking in America Convention at the Benton Convention Center. 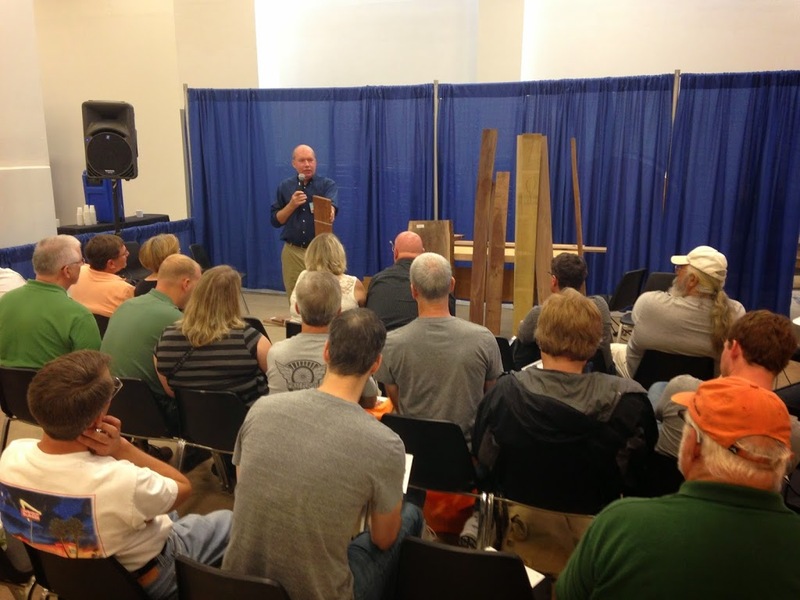 For those of you who don’t know, Woodworking in America or as the crazy kids call it WIA, is a three day woodworking conference with classes and marketplace full of woodworking vendors. 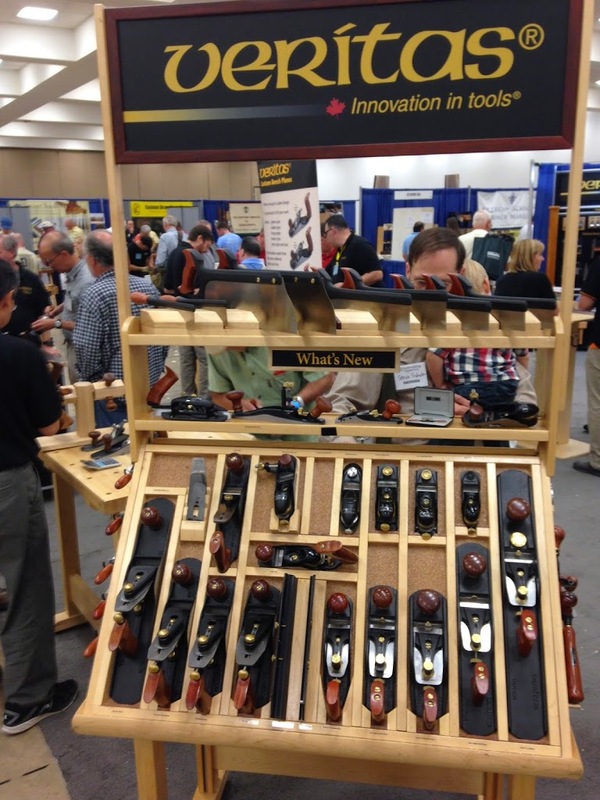 This event is put on every year at a different location by Popular Woodworking Magazine. Due to my work schedule and a slight shortage in excess dough (will explain a bit later), I decided just to make the two hour drive to walk around the vendor marketplace. I figured I could afford the $10 to get in the marketplace to drool over tools I couldn’t afford. 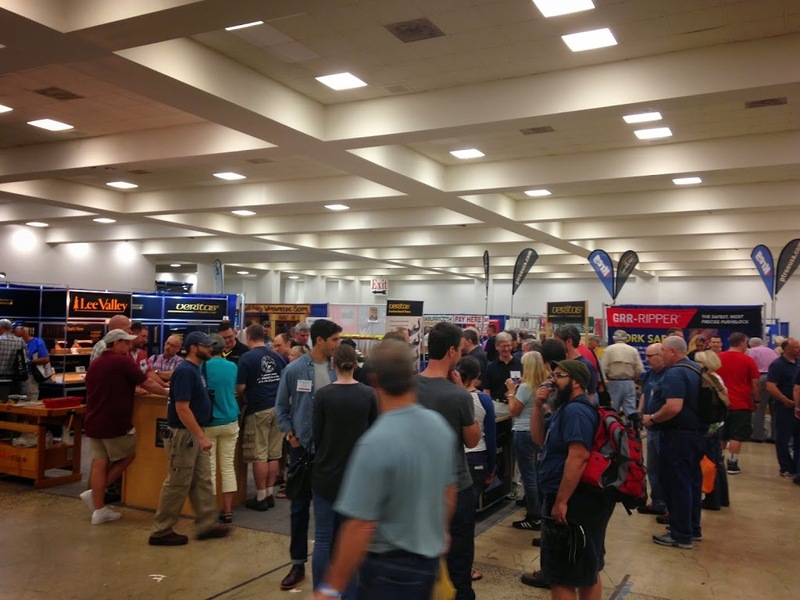 It was really cool to be able to walk around and talk to the different vendors and even some of the tool makers. Now I’m not a complete power tool guy but I think we all know that I tend to gravitate a little towards them. I mean I do own a couple hand tools… well a set a chisels, two hand planes, and a few hand saws. But lets be honest, they collect more dust than they create. This place was hand tool heaven. Now I’m not in anyway against hand tools, in fact I would really like to increase my skills with the tools of our woodworking forefathers. Its just I also enjoy being alive and well in 2014. The crazy thing about some of these hand tools is they cost as much as some power tools. Now if one of you wonderful readers are feeling generous and would like to either donate a large sum of money or a complete collection of hand planes, chisels, and saws to me I wouldn’t be upset. Now they did have some power tool vendors there but not as near as many as I thought there would be. 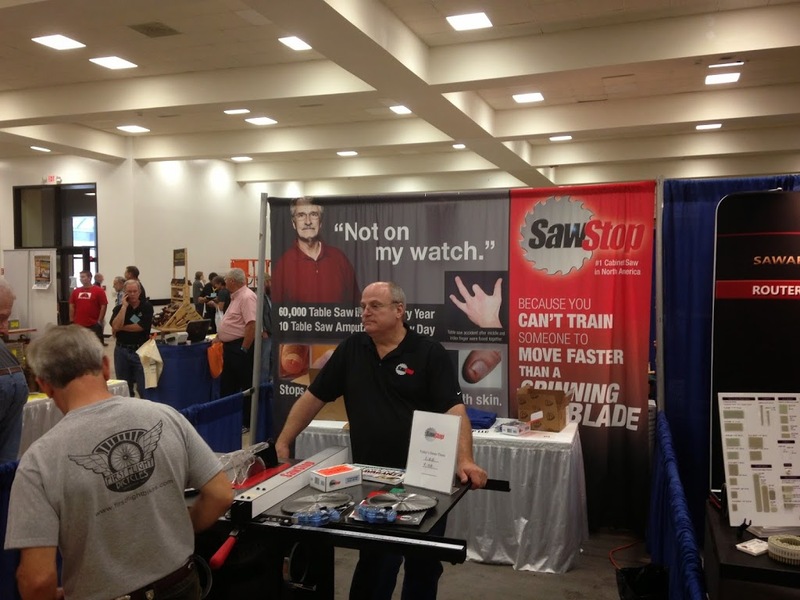 Saw Stop was the only large power tool company there other than Bosch with their hand held power tools. 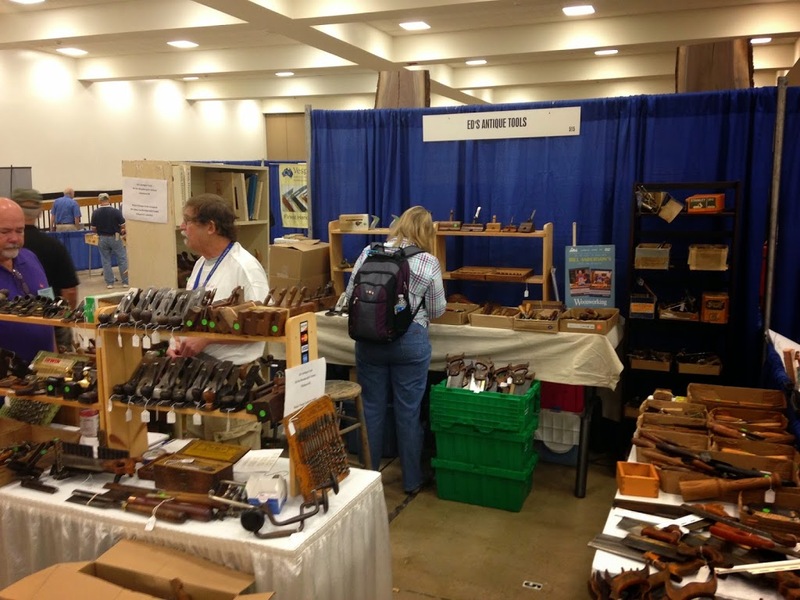 There was also a bunch of different woodworking accessory vendors present. 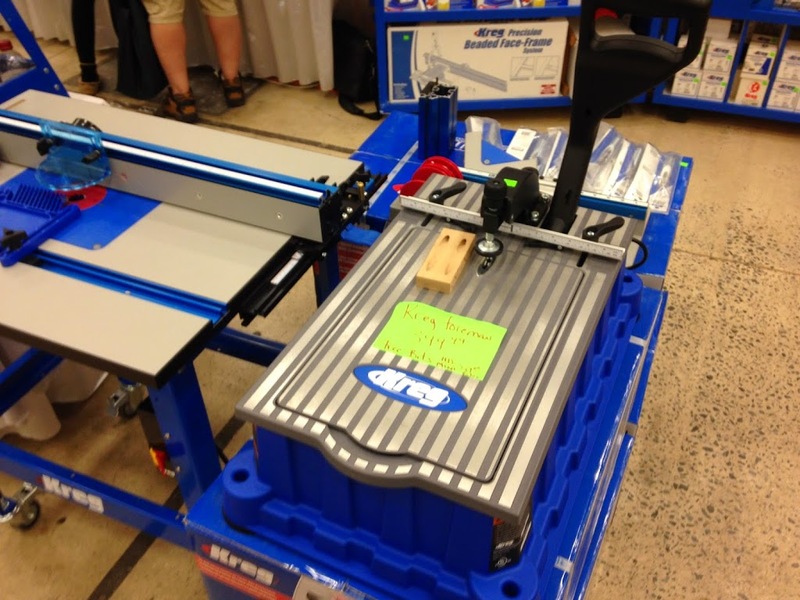 Micro Jig was demoing their GRRRRRipper and Kreg had their new Foreman pocket hole machine up front. Now there were several small classes and demonstrations available on the marketplace floor. The lumber yard where I purchase my wood from was there and gave a great class on how to select and purchase lumber from a mill. 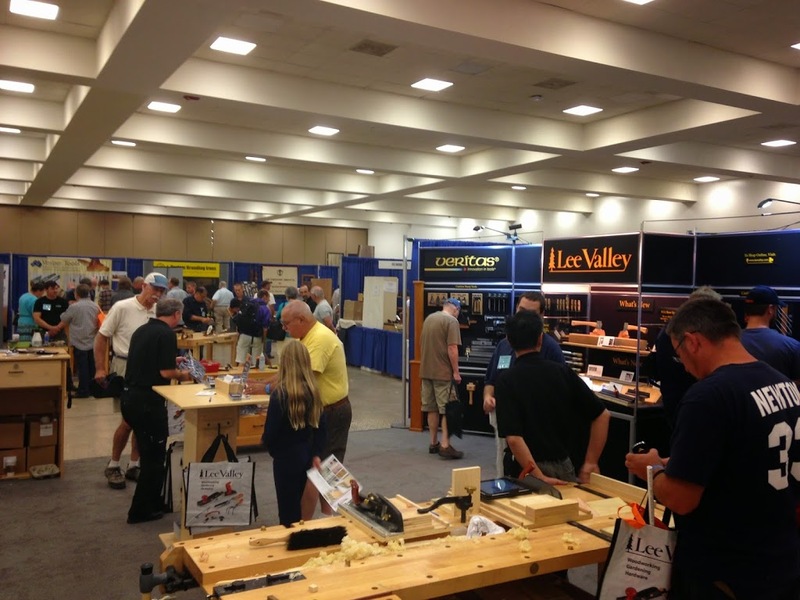 Now what I can’t talk about is the line up of classes that Woodworking in America offers at this convention. One of these years I am going to sign up and attend the whole convention and take advantage of all the classes offered. This year just wasn’t the year. One reason was the hefty registration fee. For the entire three days of classes registration runs $475.00 and for a single day of classes a mere $195.00. I am sure it is worth ever penny getting some instruction from some of the best woodworkers in the biz but I just couldn’t justify the price or the time away from home right now.